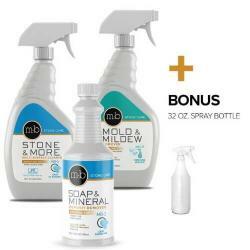 Everything you need for quickly and easily cleaning soap scum, removing hard water stains and mildew stains is included. 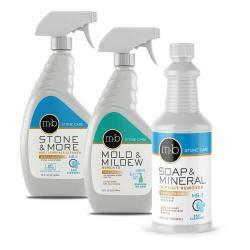 Keeping your bath & shower sparkling clean is a snap with these specially formulated products that are super-effective and safe for use on marble, granite, travertine tile, all natural stone, porcelain & ceramic tile, grout and quartz countertops. Also safe on glass shower enclosures, faucets, and fixtures. All bottles are 32 ounces. SOAP SCUM / HARD WATER Cleaner for cleaning soap scum & removing hard water deposits that commonly occur in the shower and bath dulling tile color and finish. 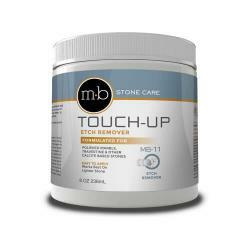 Special formula cuts through tough bath & shower build-up to quickly remove all films and deposits. 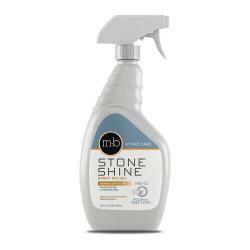 Use as regular bath & shower cleaner to minimize build-up and keep tile and grout sparkling clean. 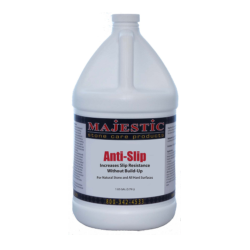 Removes hard water deposits around sinks and faucets too. MOLD & MILDEW Cleaner is fantastic for quick bathroom mold & mildew stain removal without etching or damaging polished marble or travetine surfaces. Little scrubbing needed. 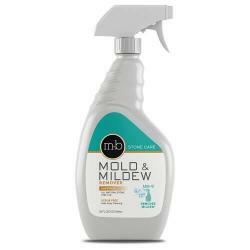 Spay on and watch mildew disappear. New gel clings to walls and penetrates deeply for easy cleaning. COUNTERTOP Cleaner for simple, effective, and safe daily cleaning and routine granite countertop care, travertine, limestone and marble countertop maintenance throughout your bath and home. Neutral pH formula contains optical brighteners and leaves a steak-free finish. Sprayers: Two ( 2 ) trigger sprayers included. 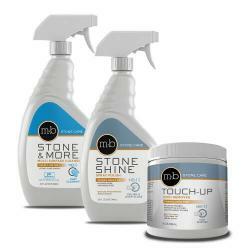 I have had a hard time until now finding a product that will not harm my brand new marble shower and remove mold. I cannot say enough about how well it worked! It removed all the black mold that was starting to grow on the tile and also removed it at the base of the shower door around the protective plastic at the bottom of the door. I was worried about using bleach there since it was so close to the marble and this product did the trick! Highly recommend!! Your product REALLY WORKS! I was unsuccessful in cleaning my Travertine tiled shower until I found your products. Amazing results! Thanks so much. We have a tumbled marble shower, and it is beautiful. However, it is very porous and difficult to dry after use. Mold and mildew can accumulate very quickly, but the mold and mildew remover used after the soap scum remover leaves our shower looking brand new. 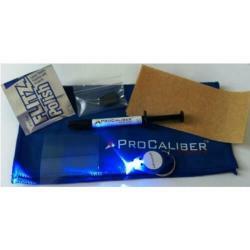 Fantastic products! I was a bit unsure how stone cleaner would work on my quartzite countertops. It worked great! No, streaks nor film on them. I highly recommend Countertop Specialty stone cleaners. These products saved my marble! I used the soap scum remover and mildew remover to clean my shower, which had become very stained despite scrubbing with a toothbrush. The mildew remover worked right away to clear up pink and black mildew stains! The soap scum remover needed several applications and scrubbing, but the results were great! I appreciate Ryan helping me, via email, with choosing the right products to use in my new remodeled bathroom. I've not had marble before, but now feel comfortable using the products sold and recommended by Countertop Specialty. This was my second purchase from Countertop Specialty. I've tried quite a few different products for cleaning our stone counters, floor and shower walls, but I've concluded the ones from Countertop Specialty are the best. 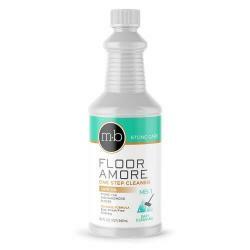 As far as I know, they are the only company to produce a safe grout cleaner that will not harm marble.